S. Brown. 2002. 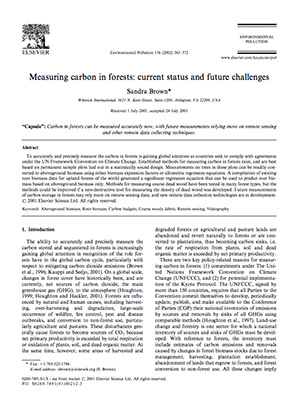 Measuring Carbon in Forests: Current Status and Future Challenges. Environmental Pollution 116: 363-372.